Sandys is the western most Parish or a county of Bermuda. It's named after Sir Edwin Sandys who made large investments to colonize the parish in early 1600s. The parish name is pronounced as 'Sands'. Sandys has five islands that are joined by bridges. The islands are Ireland Island North, Ireland Island South, Boaz Island, Watford Island and the biggest of all, Somerset Island. The Royal Naval Dockyard where most of the cruise ships dock, is located at Ireland Island North. Check out the interactive Sandys Map to view the location of the parish and the islands that it comprises of. Being farthest from the congested Hamilton City, several areas of the parish provides refreshing piece and serenity that are quickly disappearing in tourist populated Bermuda. And at the same time, Hamilton can easily be reached by ferry from both dockyard and Somerset. There are also buses that operate between the dockyard and Hamilton City. 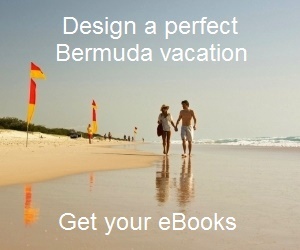 Some of the great hotels of Bermuda are located in Sandys parish. Click the links below for details about these hotels. Category "$" indicates cheapest while "$$$$" is the highest. There are three apartments and two nice cottages having their own unique decor. Overall the property provides an informal, private and home like atmosphere. This is a relatively new and a casual resort. Spread over 18 waterfront acres at Daniels' Head, it offers a spectacular setting for a relaxing vacation in an ecologically sound environment. There are 84 nice cabanas to choose from. This earlier used to be a religious retreat once. However it has re-opened as a b&b with modern amenities spanning across 8 acres of land area. It has two lovely private beaches where you can swim, snorkel, sunbathe and even kayak. The resort also coordinates and arranges several activities including spa, scooter rentals, watersports, golfing etc. Cambridge Beaches overlooks Mangrove Bay and Long Bay, in a magnificent and exclusive private site. It has access to some of the most beautiful private beaches in the island. The rooms have been designed for ultimate luxury. Many of them have spectacular view of the ocean and have adjoining terrace gardens. 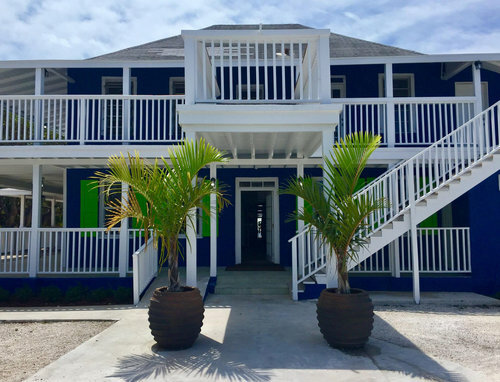 As the dockyard is located in Sandy's, large number of cruise ship passengers during the season have triggered a number of restaurants and bars to open up in the parish. And many of them are located at and close to the dockyard area. Check out Sandys Restaurants to know about all the well known restaurants in the parish. Hog Bay Beach: This secluded beach is a hidden treasure. Not many know about this beach - one of the most exclusive Bermuda beaches. It can be accessed from Middle road, through Hog bay Park and at the western end of the park. Daniel's Head Park & Beach: Daniels Head spans across about 17 acres of coastal area. 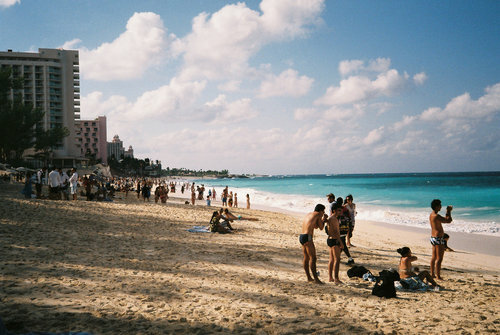 There are several beaches here, but only one has remained as a public beach. Others are privately owned by hotels. It's a great secluded beach and close to the dockyard. But you will ideally need a scooter as there is no bus service up to the beach. There are couple of operators at the public beach who offer excellent kayaks, snorkel and other watersports. Hog Bay Park: Hog Bay Park is a 32 acres of unspoiled forest land and one of the new national parks of Bermuda. Somerset Long Bay Beach and Park: It's a beautiful secluded beach in the western Sandys parish. 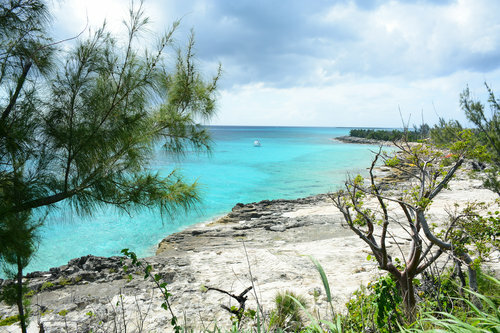 There is also an adjacent park which is part of Bermuda's nature reserve. Snorkel Park: Located within the dockyard complex and very convenient to the cruise ship passengers, this beach is a great place for families and kids, and great for snorkeling as well. It's a privately run commercial complex and therefore has an entry fee. The complex has a restaurant & bar, watersports activities, beach rentals and also a night club. Ely's Harbor Bermuda: This is a picturesque harbor. It'll be on your left as you cross the Somerset Bridge which connects Bermuda's main island to Somerset Island. You can get there via Middle Road, west of Somerset Bridge. Parson's Bay: This is a nice sheltered beach in Sandy's Bermuda and is quite popular with the locals particularly as a picnic spot. However the beach with its beautiful white strip of sand usually remains quiet most of the time. But there is no bus or ferry stop nearby. You will need to take your scooter or cycle to reach Parson's Bay. It is in Ireland Island and on the Lagoon road just before it becomes Craddock Road. The area is known as Lagoon Park. Lagoon Park: A scenic park area named for the lagoon or the backwater having surrounding mangroves. It's a lovely place to relax and have a picnic. There are picnic tables in the park. With grassy lawns and adjoining coastline along the Great Sound, it has a scenic setting. The park is also a habitat for birds of different kinds. You will also see Easter lilies during Easter time. There is an adjacent valley area having the 19th century Royal Naval Cemetery. It has graves of many Royal Navy officers many of who died out of yellow fever. To reach the park from the dockyard, come south and cross the narrow Grey’s Bridge. Lagoon park is located at Ireland Island (South) in Sandys. The park is open from sunrise to sunset. Admission is free. Black Bay Beach: There are several small beautiful public beaches that are usually more enjoyable during the low tides. In high tides, they tend to disappear. 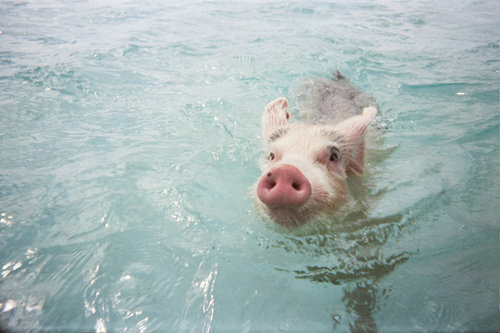 The beaches here are shallow and great for swimming. Black Bay is located on the northern side of Malabar Road in Ireland Island (South) and opposite to the Royal Naval Cemetery. Bus routes #7 and 8 stop at the Cemetery from where you can walk down to the beach. Mangrove Bay Bermuda: This is a beautiful bay beach with a scenic view of a nearby country village called the Somerset Village. This beach is great for swimming and also for picnicking and fishing. The beach has a private and a public section. Mangroves line the beach along its gentle curve. It's a short walk from the shopping area of Somerset Village. Couple of nice restaurants (Somerset Country Squire and Salt Rock Grill) are also within short walking distance. Bus #7 an #8 operating between Hamilton City and Dockyard stop here on request. The bus stop at Mangrove Bay Road is within walking distance. Callaghan Bay: This is a nice beautiful beach just off the Somerset Road and at the beginning of West Side road. Bus #7 and #8 both stop here. Royal Naval Dockyard: This is a dockyard and naval base built by the British in early 19th century. The cruise berths Kings Wharf and Heritage wharf are located here. The complex has a number of top tourist attractions. Bermuda Maritime Museum: A fascinating story of Bermuda's maritime heritage captured in a 19th-century fortress at the Royal Naval Dockyard. Dolphin Quest Bermuda: A fantastic Dolphin center in the Dockyard. If you have a dream to swim with dolphins, touch or feed them, there is no better place than the Dolphin Quest in Bermuda. Bermuda Art Center: Located in the dockyard, this is a creative workshop of the talented local and resident artists. It exhibits wide range of artwork including paintings, sculpture, pottery etc. Dockyard Glassworks: You will see how exquisite glassware items are made right in front of your eyes. There are many great pieces on sale too. Destination Dockyard: On Mondays, Kings Wharf Dockyard offers nightly festival celebrations with fun filled activities. The event is known as Destination Dockyard. Somerset Bridge: This is the smallest draw bridge in the world. It was originally built in the year 1620. Convict Cemetery: A burial ground for the convicts who were brought in from England to work on constructions of Royal Naval Dockyard and fortifications in Bermuda. They were not allowed the privilege to be buried in any other grave yard. Palm Island: A beautiful tiny island on Ely's Harbor full of Palms and other plantation, and open to visitors during the day time. It's a nature reserve for birds and other wild animals. Spread across 44 acres of lush greenery, Heydon Trust is one of the largest Bermuda parks with old buildings and the smallest church in the island. Fort Scaur and Park: Fort Scaur is located on a hilltop at Somerset. The fort was built in the 19th century by the British to defend attacks from Americans. St. James Church: This is one of the most beautiful churches in Sandys parish Bermuda. It overlooks the ocean with a picturesque setting. Simmons Ice Cream Factory and Variety Store: If you walk from St. James Church towards the Gilbert Nature reserve, you will shortly see this ice cream factory of Bermuda. There are wide variety of ice creams that you can sample here. They are some of the best that you get in the island. Gilbert Nature Reserve and Springfield: This is an excellent 5-acres of forest area in Sandy's with an old mansion called Springfield located right next to it. Watford Bridge Bermuda : This bridge connects Somerset Island with Watford island, and the road from here goes all the way up to the dockyard. The bridge was originally constructed in 1903. Prior to that, a flat bottom boat which could carry a horse and a carriage was used to cross this 450-ft wide channel. The view of the ocean from the bridge is wonderful. Gladys Morrell Nature Reserve: A 2 acre nature reserve at the Mangrove Bay Village, is a tranquil habitat for many of Bermuda's native plantations and Blue Birds. Pitman's Pond: A wonderful 3 acres nature reserve in Sandys with a manmade pond. It's located close to Somerset Long Bay East and next to the Government Park. Pitman's Pond attracts variety of bird life and is visited by numerous locals and tourists. As part of the Buy Back Bermuda (BBB) initiative taken up by Bermuda National Trust and Bermuda Audubon Society in 2005, this plot has now been protected from any commercial development and will therefore remain as a nature park. Gunpoint Fort: This battery is located in Sandys Parish near Wreck Hill. It once guarded the channel at the western end of Bermuda which was one of the most difficult passages for the ships to navigate due to the many reefs in the water area. Gunpoint fort was built in the 17th century during the early British settlement days in the island. On one occasion during the American Revolution in 1777, two American ships attacked the fort. After exchange of gun fires, the British soldiers had to initially retreat giving way to the Americans. In about six days, the Americans destroyed the walls of the fort and spiked the guns. However they had to flee on their own vessels once the local soldiers came back with bigger strengths. Wreck Hill and Bay: This is a beautiful hill area with an adjoining bay with the same name. Such name was given because of a Dutch ship that got wrecked here in 1618. Subsequently in 1795 the Royal Navy took over this area to build a lighthouse. But the construction of Gibbs Hill Lighthouse in Southampton eliminated the need to build another one here. In 19th century, there used to be a grocery store here which could be accessed only by water. Today the entire 26-acre area is a private estate complete with a private beach, tennis court and many other luxury amenities. It was earlier owned by the multi-millionaire Robert Stigwood whose guests included Michael Jackson. He later sold it off to Australian Bruce Gordon. Cockburn's Cut: This narrow channel was create by the Royal Navy in 1817 to isolate the naval base at Ireland Island North from rest of Bermuda. The cut was dug up by the convicts who were brought in from England and were engaged in building the Royal Naval Dockyard. It was done from the fear that U.S forces may have used the vulnerable land area on the other side of the cut to attack the naval base. Today a beautiful bridge goes over the cut joining Cockburn Road with Pender Road that goes right up to the dockyard. Cockburn Cut was named after the Governor of Bermuda Sir James Cockburn (1811 - 1819). Explore Somerset: This is an excellent walking tour that I enjoy every time I am in Sandys. This itinerary includes visits to Somerset bridge, Somerset Village, Fort Scaur, Heydon Trust, and Mangrove Bay Beach, and of course a lunch in Somerset Country Squire. Walk around and explore Royal Naval Dockyard: Dockyard spans across some 24 acres of land area and comprises of many tourists attractions, activities, shops, restaurants, bars and other establishments. So unless you know where is what, it may not be easy to get around and find things you are looking for. This walking tour will systematically help explore the dockyard starting from the cruise piers and help you locate everything it offers. End to end tour of Sandys: Earlier tours focussed on the main areas of interest in the parish. This self guided tour will take you through almost all major attractions and interests across the parish from west to east including the best beaches, historical forts, churches, parks, nature reserves, smallest drawbridge in the world etc. Sandys Parish offers some great sporting and recreational activities. There are several top operators and outfitters in the parish offering scuba diving, boat tours, kayaking, snorkeling cruises and more. If you love to walk, the sections of the railway trail in Sandys provide some of the best walking as well as cycling experience. Checkout Sandys Activities to know all about this. There are great shopping opportunities in the Dockyard Complex including the Clocktower Mall that houses a range of boutique shops. Visit Royal Naval Dockyard to know about the other shopping options in dockyard. However, there are also nice shopping opportunities in Somerset Village. The Somerset Pharmacy located on Mangrove Bay Road is just not a medical shop. It's well known for its wide range of branded toys and dolls for children almost of all ages. They also offer nice souvenir items, crafts, postcards etc. (Phone: 441/234-2484). Dub City Records that has its main store at Court Street in Hamilton, has an outlet on Somerset Road. They are a popular musical store offering great collections of music albums including reggae, soul, R&B, popular hits and more. Phone: 441/234-3737. The well known English Sports Shop has a branch on Somerset Road offering nice collections of Bermuda linen-blend shorts, jackets, Bermuda Silk Ties with traditional island prints like pastel houses, horse carriages etc. There also have women fashion clothes. Phone: 441/234-0770. Market Place is a supermarket on Somerset Road and has all kinds of grocery items. You can even get whole roasted chicken ready to go. 48 Somerset Road, Sandys. Phone: 441-234-0626. Open Monday to Saturday: 8am - 10pm, Sunday: 1pm - 6pm. They offer 5% discount on Wednesdays. You will also get phone cards and organic items here. Bus routes #7 and #8 connect Hamilton City and Sandys. Bus #8 is more frequent than #7 and takes the Middle Road in Sandys through the urban areas, while bus#7 takes mainly the scenic South Road. There are some buses that terminate at Barnes Corner in Southampton and do not go all the way up to the Dockyard. Barnes Corner is where the Middle road and the South road meet. There are several ferry stops in Sandys that serve Hamilton City. 3) At Cavello Bay. This is located in Somerset island and is a lovely place. Buses won't go all the way. To reach the ferry stop, take Somerset Road, then Sound View Road and then Scott's Hill Road and go right up to the end. 4) At Somerset Bridge Wharf. Click the Map of Sandys Bermuda to see location of all the attractions and important places within the parish. This is an expandable map and you can go down to see great level of details.